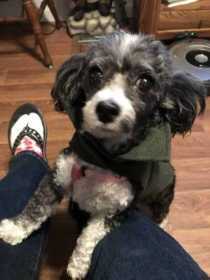 Our precious black and white toy poodle got out 10:00pm Sunday night! She’s about ten lbs. she’s old and has some issues where she needs surgery! Please if a Good Samaritan has taken her in please call us! We are worried sick about her!